Having a flashlight on hand can mean the difference between life and death in certain scenarios. If there’s an earthquake, tornado, hurricane, or flood, a flashlight is one of the basic pieces of equipment that can help you make it through such a tragedy. More common scenarios like having car problems at night also demand light in order to fix problems. The only catch is that the flashlight needs to work. This means that fresh batteries and a dependable bulb should be on hand. 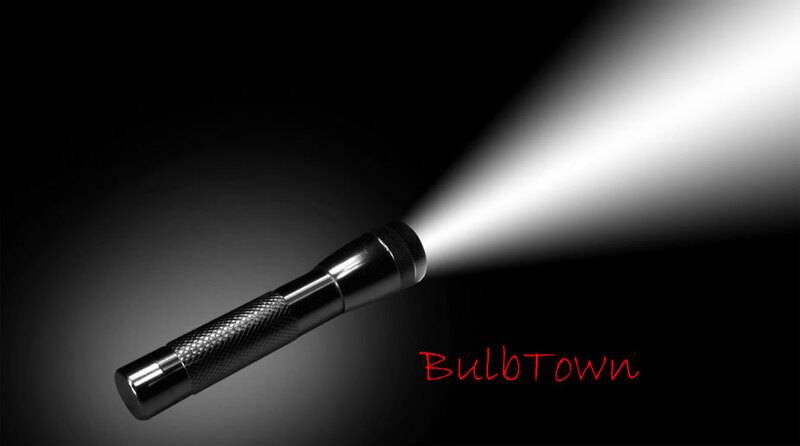 Bulbtown offers one of the largest selections of flashlight replacement bulbs online in a variety of base sizes, wattages, shapes, and styles. We offer great prices on our flashlight light bulbs and FREE shipping on orders of $50 or more. Now is the time to stock up on flashlight bulbs because you never know when the current bulbs in your lights may go out. If you have any questions or need help choosing bulbs to fit your flashlight, please contact us or give us a call at 1-800-413-9847 and we’re happy to help.